This wedge folds for easy storage. Comfort for a good night sleep. Sdipping is very high. $!6. thats 30% of the product. It is really helpful with my sleep apnea and heartburn. My daughter borrowed one I recently bought and saw how comfortable it is. Now, I'm buying one for her so I can have mine back. 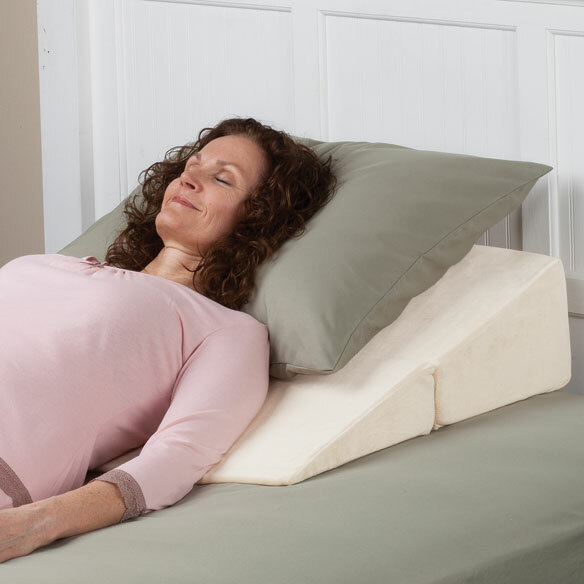 Pile pillows up for acid reflux and this would be more comfortable. Have reflux and this will help with elevating my torso when I sleep. I sleep in an upright position at home and when we go RVing or go to a hotel I would like to use this item rather than pellows. It folds down for easy storge. For GERD and it's extended length. To help my special needs dog get on the bed. MY HUSBAND NEEDS THE WEDGE FOR WHEN WE TRAVEL TO HELP HIM SLEEP BETTER. Have leg swelling need help to relieve it. I chose the folding wedge so that when I travel I will sleep better. At home, I have a bed which I can elevate its head. I sleep better that way. When I travel, I suffer. So, I'm going to try this wedge. I only hope it will fit in the suitcase. I like to sit up in bed to watch tv. Love that I can fold this thing up when I'm done with it and won't take up much space..... need it to elevate my legs but hubby can use it for his back support. This Folding Wedge Cushion is listed 7,10 & 12 inches. Is this the height of the wedge at the thickest part? BEST ANSWER: Thank you for your question. This is the measurement of the thickest part; the back. We hope this information will be of help to you. 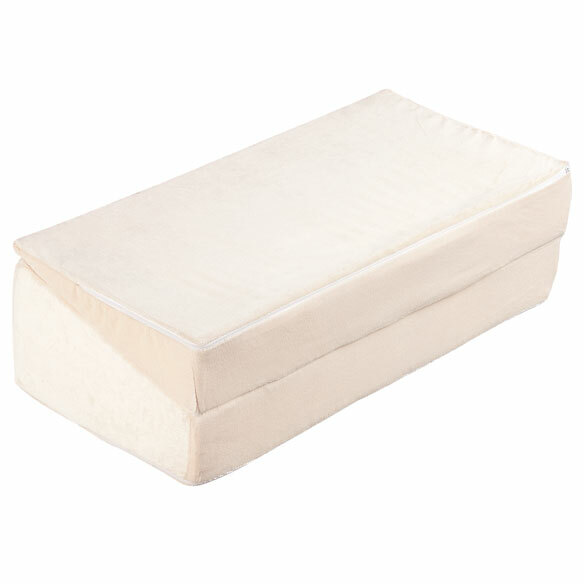 Is the foam on the wedge support pillow covered with chemicals? BEST ANSWER: Thank you for your question. No the wedge support pillow is not covered in chemicals. We hope this information will be of help to you.